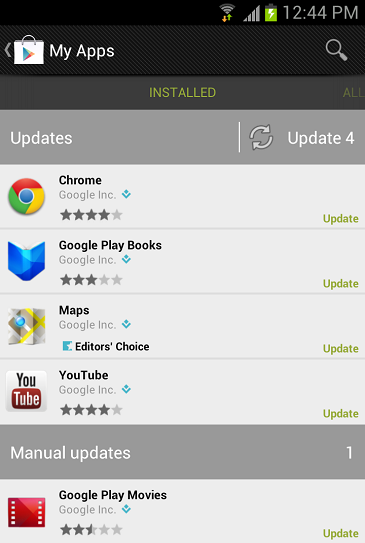 Many of Google’s applications are receiving major updates starting today. Maps now has the ability to store offline data, which means no more worrying about having to rely on a steady data connection to have in-depth and highly detailed maps wherever you are. Chrome, as we suspected earlier last week, has officially dropped its Beta tag. Google+ was a main point in their I/O presentation, with its new “Party Mode” and the ability to view feeds all from your notification bar in Jelly Bean. They also released the special tablet UI. YouTube has received a complete UI overhaul, with navigation now happening on the left side of the screen and the ability to download videos over WiFi in the background for smooth playback while you’re on the go. Google’s Books app has received a few new features and you can now tap the top corner of a page to set a bookmark, along with video and audio playback when they’re embedded in the books.